Joe Burns, Kurtis Patterson and Travis Head may have shone in Tests this summer, but their Ashes prospects will be heavily influenced by their performances in the Sheffield Shield, which re-starts tomorrow. Usman Khawaja is the only member of Australia’s top seven who won’t feature in the Shield tomorrow as NSW take on Western Australia in Bankstown, Victoria play Queensland at the Junction Oval and SA tackle Tasmania in Adelaide. Fellow Test batsmen Burns, Patterson, Head, Marcus Harris, Marnus Labuschagne and keeper Tim Paine will face the English Dukes ball, which will be used in this half of the Shield season. Australia’s Test batsmen have struggled badly against the Dukes on recent tours of England so the selectors will surely pay close attention to how those six players handle the extra swing and seam offered by that ball. Meanwhile, Ashes pace contenders Chris Tremain, Jackson Bird, Chadd Sayers and Michael Neser will have the chance to display their mastery with that bowler-friendly ball. Australia’s Test batting line-up has been in a state of flux since the bans handed to star run makers Steve Smith and David Warner 11 months ago. 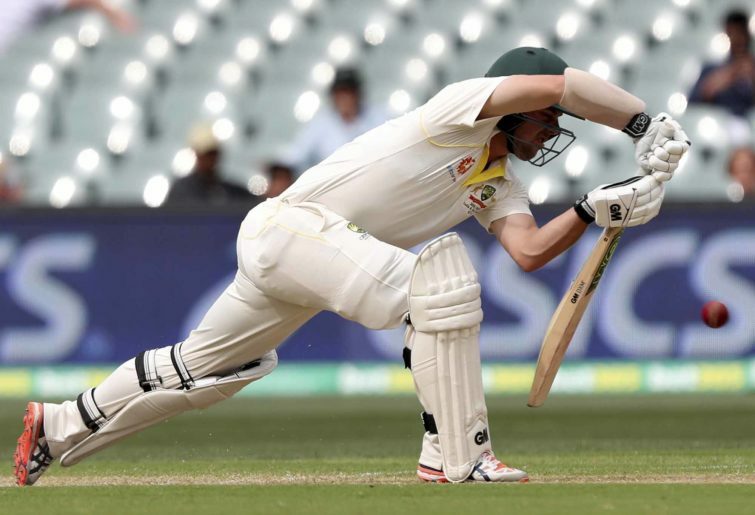 It seemed as if finally there was a relative sense of order in Australia’s batting stocks by the end of the international summer, with Head, Patterson and Burns having performed admirably. Combine that trio with the returning pair of Smith and Warner, and experienced first drop Khawaja and you have your Ashes top six. It won’t be that simple though. The Australian selectors have been shown time and again to have short memories. So often in recent years, they have been swayed more heavily by recent performances than by longer-term form. Which is why, as silly as it may seem, all of Head, Patterson and Burns are in danger of missing the Ashes if they don’t shine over the remainder of the Shield season. Even if they play well, they still could be leapfrogged by batsmen who catch the eye of the selectors with even one massive innings. Head deserves to play in the Ashes after making a very good start to his Test career, with 663 runs at 51 in his first eight Tests. The 25-year-old may well benefit from falling out of Australia’s limited overs setup, which means he will get to play an extra four or five Shield matches in the next six weeks instead of touring India and the UAE. Burns, meanwhile, has the chance to build on the momentum he created in his return to Test cricket against Sri Lanka. The 29-year-old opener, who made 180 in the second Test against Sri Lanka, has a sensational record against the Dukes ball in the Shield, having piled up 635 runs at 53. Patterson, too, has had no problems against the Dukes ball, with 698 runs at 47 against it in the Shield and should be riding high due to his extraordinary recent form. In Patterson’s past five red ball matches he has churned out 598 runs at an average of 199, including four unbeaten centuries. Then there’s the 24-year-old Labuschagne who has had a very poor start to his Test career, averaging 26 with the bat from five matches. By the end of the Sri Lankan series his Ashes prospects looked very dim but, as I mentioned above, the short memories of the Australia selectors could work in his favour if he dominates in the Shield. From outside the batting line-up that played against Sri Lanka, the batsman most likely to force his way into Ashes calculations is Matt Renshaw. The 22-year-old opener had a shocking first half of the Shield season but he loves playing against the Dukes, having hammered 1,161 runs at 61, including an extraordinary six tons, from his 12 first-class matches involving that ball. Renshaw looks naturally suited to playing Test cricket in England and was brilliant in his debut county cricket season last year. But he, Burns, Warner and Harris are all battling for just two spots in the Ashes. That pecking order could become much clearer over the next six weeks as the second half of the Shield season is imbued with far greater importance than usual in regards to national selection.